The Nigeria police has been put at the centre of a ranging storm over the uncivilized killing of a 36-year-old Kolade Johnson. He was said to be a football fan who was watching a football match when he was shot by a police officer. Therefore the police force has been described as people popularly known for extortion, illegal detention, human right abuse, use of excessive force and extra judicial killings. So, it is seen as a den of villainy. Furthermore, the acting inspector-General of Police, Mohammed Adamu, is admonished to ensure that adequate punishment is melted on the officer who performed this devilish act so as to be able to curb the inexcusable atrocities. The Johnson case displays the rotten nature of policing in the country. Officers are uncouth, abusive, ill trained and impulsive. The police leadership is not much different. Renewed recklessness by officers under Zubairu Muazu, the Commissioner of Police in Lagos, culminated in the gruesome manner Johnson was gunned down. On the pretext that they were out to arrest youths wearing dreadlocks and tattoos, operatives of the Special Anti-Cultism Squad invaded the Mangoro area. They accosted a man who was reportedly seeing off his girlfriend, but the young men in the area resisted the officers. It was in the melee that officers shot indiscriminately, snuffing the life out of Johnson. This is a terribly cheap way to die. In the first place, there is no law against wearing dreadlocks or tattoos in Nigeria. Under some previous CPs, officers unjustifiably victimised the youth for their dressing, until sanity later prevailed. On Muazu’s watch, officers have started to manufacture their own draconian rules again. This is dangerous. Muazu should stand on the side of the law. In mitigation, Olalekan Ogunyemi, one of the SACS officers responsible for Johnson’s death, has been dismissed. He was tried alongside another officer, who was at the scene of the killing. As the police promised, he must be swiftly prosecuted. In the same vein, Muazu and other politicians, including President Muhammadu Buhari and Babajide Sanwo-Olu, the Lagos State governor-elect, have been condoling with Johnson’s family. This is good, but it is no use crying over split milk. In a society governed by the rule of law, these unlawful killings and human rights violations cannot constitute police rule of engagement. In November 2018, a Federal Special Anti-Robbery Squad officer brazenly gunned down a Lagos State Traffic Management Authority officer, Rotimi Adeyemo, in Iyana-Ipaja, Lagos. 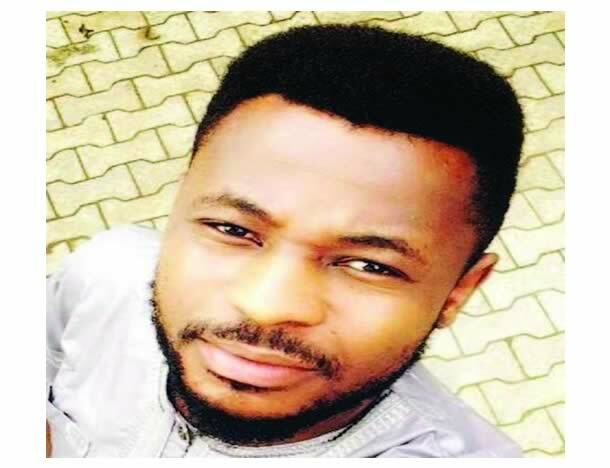 The policeman, who illegally drove against the traffic to escape gridlock, deliberately went back to his car, brought out a gun, and murdered Adeyemo. Indeed, young people in Nigeria are living at the mercy of SARS officers. Amnesty International said, “SARS is a police unit created to protect the people, instead it has become a danger to society, torturing its victims with complete impunity, while fomenting a toxic climate of fear and corruption.” Employing brutal tactics, every young person is a likely victim of extortion, questionable arrest and detention, if not death. On the road, at cybercafés, at social gatherings, they are in danger of being dragged into the police net for ridiculous excuses like owning more than one cell-phone or laptops, carrying backpacks or driving a car. Many of them attest painfully that any money found on them is confiscated by these cruel officers. In 2017, SARS officers shot a man in Yaba, Lagos. He had been summarily accused of being a fraudster, but instead of arresting him and charging him to court, they shot him. The viral video of the atrocity on the social media galvanised some youths and civil society organisations. Under pressure, the then IG, Ibrahim Idris, promised to reform SARS operations. The youth and activists took it further in December 2017 when they founded a campaign canvassing the scrapping of SARS. Strangely, they preferred this option in spite of the high rate of violent crime in Nigeria. Using the hashtag #EndSARS, they held rallies across Nigeria, forcing the government to take note. In August 2018, Vice-President Yemi Osinbajo directed the police to reform SARS. Undeniably, SARS remains a terror force. The IG, Osinbajo and Buhari must realise that crime control is not an alibi for police brutality, human rights abuses and extra-judicial killings. They should use Johnson’s tragic murder to initiate a root and branch reform of the police. For now, police officers are not accountable. They misuse their weapons, arrest innocent persons and corruptly enrich themselves. Extortion is second nature to them. To increase the confidence of the public in the police in England and Wales, the United Kingdom enacted the Police Reform Act 2002. It birthed the Independent Police Complaints Commission. The IPCC investigates serious complaints and allegations of misconduct against the police and handles appeals from members of the public. To capture the conduct of officers with the public, the Metropolitan Police introduced 22,000 body cameras for its officers in 2016, a development that is growing across the European Union. The police leadership should stop putting field officers under pressure through the obnoxious “returns” system. Therefore, the old era, in which officers conduct themselves unhindered with impunity, should give way to a new order.